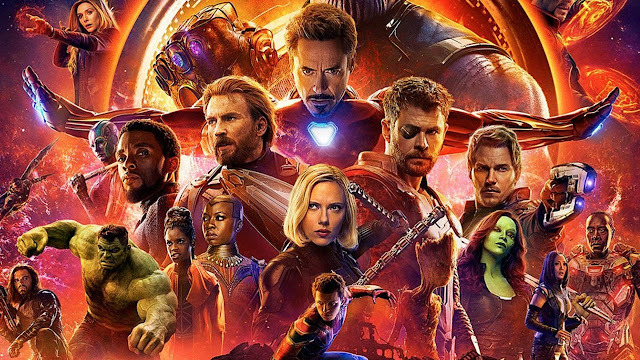 Here's your chance to win a FREE digital copy of Avengers Infinity War! Enter below for your chance to win! Winners will be emailed at the end of the contest. If you want to increase your chances of winning, there are additional social actions you can complete. The more points you score and the higher yours odds of winning! GOOD LUCK! Strange Alchemy (5:08)– Share the thrill of characters from across the MCU meeting for the first time—and discover why some were teamed up together. The Mad Titan (6:34) – Explore the MCU’s biggest, baddest villain, his trail of influence through the stories, and the existential threat he represents. Beyond the Battle: Titan (9:36) – Dive into the climactic struggle on Thanos’ ruined world, including the epic stunts and VFX, to uncover the source of its power. Beyond the Battle: Wakanda (10:58) – Go behind the scenes to find out how the filmmakers pulled off the most massive and challenging battle Marvel had ever attempted. Happy Knows Best (1:23) – Tony and Pepper spar over the details of their upcoming wedding—until a hassled Happy Hogan pulls up with an urgent request. Hunt for the Mind Stone (1:24) – On a darkened street, Wanda Maximoff and the wounded Vision attempt to hide from Thanos’ brutal allies. The Guardians Get Their Groove Back (3:20) – As Peter Quill and Drax quarrel over their failed mission to Knowhere, Mantis interrupts with news. A Father’s Choice (4:00) – Thanos confronts Gamora with a vision from her past—and with lying to him about the Soul Stone. Gag Reel (2:05)– Watch your favorite Super Heroes make super gaffes in this lighthearted collection of on-set antics. Digital Exclusive: A Directors’ Roundtable (approx. 32 min.) – Eight amazing directors reflect on how their movies contribute to the Marvel Cinematic Universe’s larger storytelling adventure. Including Anthony and Joe Russo, Jon Favreau, Joss Whedon, James Gunn, Ryan Coogler, Peyton Reed and Taika Waititi who reflect on how their movies contribute to the MCU’s larger storytelling adventure. Don't want to miss future reviews and contests? The referral link doesn't work.